Irish decal features an oval design with a green shamrock. A green shamrock is featured on this white oval decal that is enhanced with green trim. 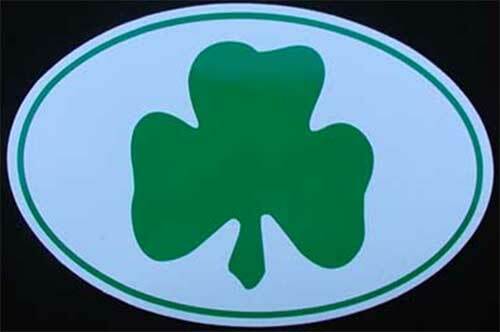 The shamrock decal is suitable for cars along with any flat surface; it measures 6" wide x 4" tall. The shamrock car decal is made in the United States and is available at The Irish Gift House.